Achievement unlocked: this is the year you host an actual holiday party at your home like a real, live adult. But before you start decking your halls, review a few classic holiday party pitfalls — then swear on your mom's sacred gingerbread recipe that you'll avoid them. And when the planning gets hectic, keep your Lumia 635 handy so that Cortana, the world's smoothest virtual assistant, can help with the heavy lifting. Building up a respectable arsenal of ornaments can take a lifetime, but do you really want to invite people into your home to gaze upon a sad, unadorned tree? Sure, you could always run to the drug store an hour before the festivities start to stock up on generic baubles, but people like feeling useful, so why not put your guests to work? Ask each of your invitees to bring an ornament from the dollar store, then award prizes for the gaudiest, most tasteless, and most horribly wonderful trinkets they can come up with. The best part: you can put the scratch you just saved on tree-trimmings toward making sure your signature holiday punch packs an extra yuletide kick. Forget about Jacob Marley showing up with his chains rattling. When you host a party, the only ghost you have to worry about is yourself. There's nothing worse than spending a night that's supposed to be fun on the phone begging the deli to deliver ice, or trying to arrange a tow truck for the coworker whose car broke down at the last minute. 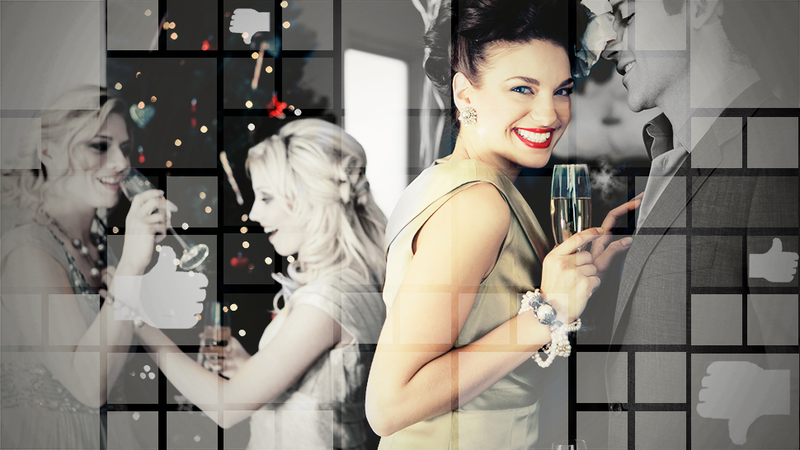 You threw a party to swap gossip, do candy cane shots, and make out with people— not to be a ghost at your own shindig. Your virtual assistant, Cortana, has this one covered. She'll remind you to pick up ice on your way home, and can even set your phone to "quiet hours" so you'll only receive calls and texts from the people who matter most: immediate family, the liquor store delivery guy, and the underwear model who can't remember your buzzer number. And Cortana learns as she helps you, so if things do go awry, she'll have the solutions you need at the ready rather than offering up a bunch of random search results you don't know what to do with. Christmas carolers look so charming in holiday movies…because they're trained professionals who have been taking voice lessons since they were five. IRL people are tone-deaf and rowdy, and would rather keep pounding eggnog and mooning your photo booth than bust out a heartfelt rendition of Good King Wenceslas. Instead of forcing a sing-along or agonizing over the perfect playlist, use Mixradio, the smartest music discovery service out there, to customize a nonstop radio station based on your favorite artists and songs. Rather rely on someone else's taste? Just queue up one of the long-playing mixes — selected by stars from Rihanna to Macklemore & Ryan Lewis — or choose a season-appropriate category like Christmas Crooners. Unlike lots of music streaming services, MixRadio works when you're offline too, so when your wonky wifi goes down, it will keep on playing. Now step away from the stereo, and go enjoy your party. Don't you hate it when the invite says there'll be food, but the buffet consists entirely of assorted dips and those weird, sweaty cheese cubes? Anything made primarily from powdered onions will kill any potential under-the-mistletoe action, and mayonnaise-based cuisine is a beast to work off in cycling class the next day. When it comes to your hors d'oeuvres, it's time to get serious. In Italy, they celebrate the season with an aromatic lentil stew. Swedes get down with Saint Lucia by baking saffron buns, and Peruvians sip spiced hot chocolate. Now, with your handy Lumia, you can impress your guests with traditional holiday fare without having to bother your grandma for recipes. Instead, use an app like All Recipes. It's fully integrated with Cortana so you can get instructions without using your hands when you're whipping up a traditional Polish babka or French bûche de noël. Want to really kick it up a notch? Try a beloved Filipino holiday tradition and roast a whole freakin' pig. Your Facebook event was lost between videos of baby goats being tickled and rabbits taking baths. You used an invitation system from the dawn of the internet. Everyone's hanging out without you. Relax, it's not the last one — seriously, pick yourself up off the floor and get it together! — but it's still hard not to feel like a rube when you're standing alone in your party hat with only a suckling pig for company. To make sure your e-vites make an impression, shoot a memorable video invite using the high-quality camera and mic on your Lumia. Then send it straight from your phone with storage and sharing system OneDrive. Then, instead of stressing over RSVP's, just ask your handy e-ssistant Cortana to follow up with guests who haven't confirmed. She'll actually do it! With a trusted party planner like the Lumia at your side, you can spend less time stressing about your party and more time making merry at it. Heck, you may even decide to host New Year's.